Looking to deliver live streaming content with closed captions? Curious on CEA-608 captions and how they differ from CEA-708? This article describes some of the benefits of closed captioning live content while discuss the CEA-608 and CEA-708 methods. It also briefly touches on execution, with emphasis on IBM’s video streaming offerings which have recently enhanced their delivery to support reaching mobile devices with these captions. What are the benefits of closed captions? What are CEA-708 captions and how do they differ from CEA-608? There are a multitude of reasons for why broadcasters should use closed captions. One reason that leaps into top of mind is for increased accessibility. According to data from the Center for Hearing and Communication, about 48 million Americans have significant hearing loss. While some of these are older individuals, as 14% of individuals between the age of 45-64 have some form of hearing loss, this isn’t always true, for example 15% of children between the ages of 6-19 have hearing loss in at least one ear. Captions work as a method to bridge the gap for this audience, providing clarity that they might otherwise miss out on without closed captions. In addition, they also aid those who have English or another language that is being spoken as a second language. For them, this can greatly assist in determining a word that is slightly slurred by the presenter, as one example, or just give the written form of something they are not familiar with so they can look it up. There can also be catering to preferences as well. In fact, 85% of video content played on Facebook is muted, for example. In this case it’s not due to a challenge in hearing or understanding the content, but rather a preference. In these examples, closed captions can greatly assist through increasing audiences, halting some abandonment that might occur once the realization that the content is not captioned kicks in. Also known as EIA-608 captions, CEA-608 (Consumer Electronics Association-608) captions were once the standard for closed captions broadcasts in North America. Primarily dominate in analog playback for NTSC (National Television System Committee) televised broadcasts, the caption format is still relevant for digital presentations today although broadcasters can choose between 608 and 708 based captions. They are transmitted to either the odd or even fields of line 21, which is why they are also sometimes called “line 21 captions”. Traditionally, this information was invisible unless the viewer used a decoder, either built into their set or an add-on device, that would make these visible as text. Supported languages include English, Spanish, French, Italian, German, Dutch and Portuguese. This is because special characters, sometimes required for other languages, are not supported. Two language options are permitted at a time, meaning someone could be broadcasting content with English and Spanish captions at the same time. Appearance wise, they are distinct for having white text on top of a black background. Also known as EIA-708 captions, CEA-708 captions are the current standard for closed captions broadcasts in North America. While CEA-608 were created for analog, these captions were created with digital television in mind. In particular, they were created to support ATSC (Advanced Television Systems Committee) and DTV (digital television) streams. They are transmitted through being placed into MPEG-2 streams within the picture user data. One of the major differences between CEA-708 and CEA-608 captions are in the supported languages and appearance. While 608 captions were limited to seven different languages, 708 captions have support for virtually any language due to a wide pool of supported characters. The visualization is also varied, supporting 64 different text and background colors. In addition, eight font types and three different text sizes are also supported. The position of the captions can also be adjusted, where as they are fixed with CEA-608 captions. If content owners are wondering if there are “508 captions”, or are looking for “508 caption solutions”, chances are they are referencing Section 508 rather than a 508 caption format. Section 508 relates to accessibility for electronic media in federal programs and services. Many states have legislation as well that extend these to organizations that receive federal funding, such as colleges and universities. As a result, this does create a mandate in certain industries to adopt closed captioning if they aren’t already. To learn more about regulations around closed captioning, visit our What is Closed Captioning article. 708 captions have more character support, therefore more language support, and a wider array of presentation options. While this would make them better, there is the question of compatibility. For example, it’s possible to transmit 608 captions to a digital presentation, while it’s not possible to stream 708 captions to an analog source. As it relates to online video, it also comes down to what your provider supports. In the case of IBM’s video streaming services, for example, CEA-608 captions are supported. This is done through a process called “608 over 708”. 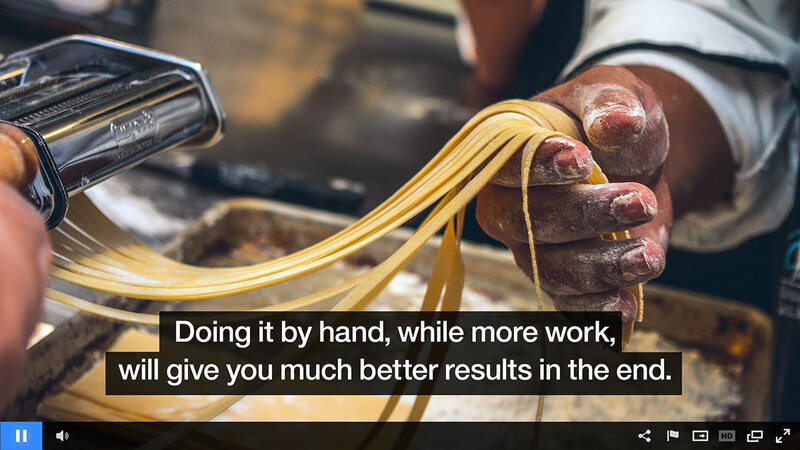 Both formats usually support the use case desired: serving captions. Conflict in one choice over the other is often tied to what 608 can not do. In particular if a language is not supported due to characters related to it being unsupported, or if the video content contains key, important information in the lower thirds that the fixed position of the captions will heavily interfere with. To add CEA-608 captions, it is done at the encoder level. The exact workflow can involve a camera and production switcher that then sends this to an audio embedder and a caption encoder, such as the HD492 iCap encoder. The caption encoder, sometimes called a “CC encoder”, is a pass-through device that receives the video signal and sends an audio feed to a closed caption provider, such as Captionmax , CCS (Closed Captioning Services) or SubPLY. The caption provider then converts the speech to text, either through automated or manual processes or a combination of the two, and this is then sent back to the caption encoder. This caption encoder can, optionally, delay the video as well, in order to account for the time required to generate the text. This data is then embed into the SDI and the output is then ultimately sent to a live video encoder. The video encoder will convert the broadcast into a web friendly format, such as RTMP (Real Time Messaging Protocol) that will relay that feed to a service, such as IBM’s video streaming offerings. Example CEA-608 captions workflow, with pictured Karrera Video Production Center, Blackmagic OpenGear Converter, HD492 iCap Encoder & Osprey Talon G1 Encoder. Click to expand. Many services, including IBM, support RTMP (Real Time Messaging Protocol) based solutions. This includes a wealth of different options, although only select encoders can be used to add CEA-608 captions to a live stream. Below are some of the available encoders that can do this, and links to relevant information on their caption capabilities when available. This is a hardware based encoder. The Teradek Cube supports CEA-608 captions through embedding them as CEA-708 captions into the H.264 stream. It should be noted that the encoder does not convert or transcode 708 captions down to 608. The broadcaster has to send CEA-608 captions to be usable over the IBM video streaming services. For more information on the captions capabilities, an article by Teradek is found here. Another hardware based solution, the ViewCast Niagara 4100 supports either embedding or overlaying CEA-608 captions. Released in 2013, unfortunately, this particular encoder is no longer available from the manufacture. However, it can still be purchased through individual sellers or other marketplaces. This hardware based encoder, with some nice features such as autostart after a power outage, includes caption support. In fact, support for CEA-608 captions is true across the Osprey Talon “G” line. So the other models, such as Talon G2 and Talon G1H, also support CEA-608 captions. Another hardware based RTMP encoder that offers CEA 608 caption support. However, Digital Rapids was acquired by Imagine Communications in 2014. Since then, this encoder has been discontinued. Regardless, the encoder can still be used for broadcasting with these captions. Furthermore, both the StreamZ and StreamZ HD can be used for this. That said, many individuals might have a preferred encoder which is not an encoder listed above. Thankfully, they are not excluded from adding CEA-608 captions to their content. EEG, through their EEG Falcon service, offers a middleman approach where they can enable other encoders to still be used, such as Telestream’s Wirecast. In this workflow, the broadcaster would provide EEG Falcon their stream URL and stream name information related to their live channel. The service would then give a different stream URL and stream name, so that the broadcaster is publishing their stream to EEG before it’s sent to the final destination. As a result, this allows the service to add in the CEA-608 captions even if the encoder wouldn’t normally support it. CEA-608 captions provide a method to deliver live streaming content while serving closed captions with them. 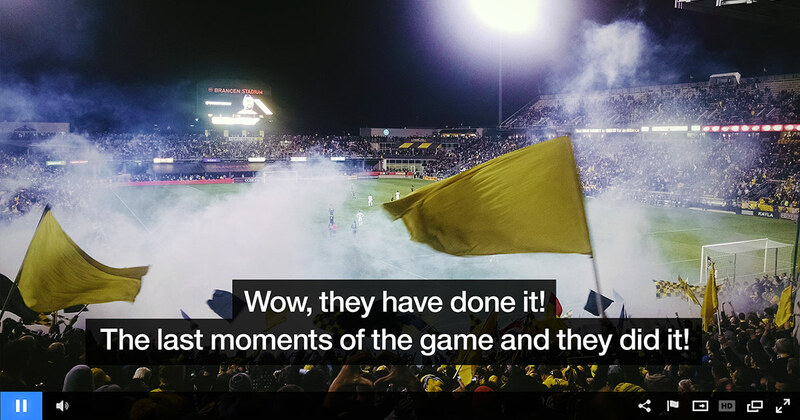 Through an update and enhancement at IBM Watson Media, these captions can be served outside of Flash instances. This helps as it means this content can now reach users on mobile devices as well. To learn more on video player compatibility, read our HTML5 Video Player vs. Flash article. If you are looking for information on captions for previously recorded video files, reference our WebVTT captioning support article. Looking to start broadcasting your own content with closed captions? If you have one of the encoders above, or a different model that outputs in RTMP and supports CEA-608 captions, sign up for a free trial of IBM’s video streaming offering to test out these enhanced captions capabilities.